NSCA vs NASM - Which is the better Cert organization in 2019? 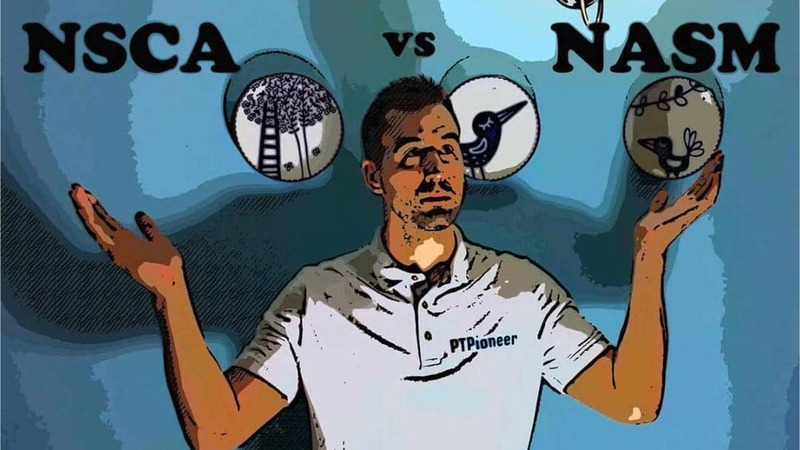 NASM vs NSCA – Which is the better Cert organization in 2019? Welcome to my NSCA vs NASM article, let’s let the battle begin! 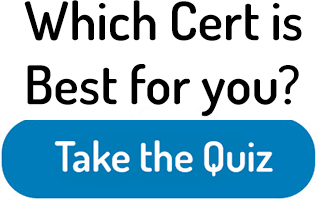 I will be comparing these two certs using 6 crucial factors to help you choose. By the end of the article, you will have a clear picture of which one will be better for you going forward. Make sure to also take a peek at my must-read article on the best 5 certifications compared to each other. I suggest checking out both the NASM site as well as the NSCA site afterward. 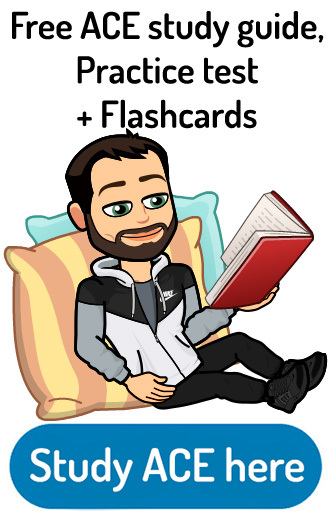 If you are looking for great study materials, check out my NASM flashcard study system. Also, make sure to ask me questions in the comments if you have any! Here are some other comparison articles that you might like with NASM and NSCA: NASM vs ISSA, NASM versus ACE, NSCA vs ACE and NSCA vs ISSA. I also recommend that you Take the quiz to find out which PT certification is right for you. The NASM certification is considered a corrective exercise certification whereas the NSCA is more of a sports performance certification. Both the NASM certification and the NSCA are accredited by the NCCA and are highly recognized in the training industry. 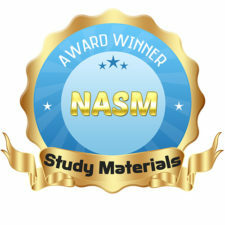 The NASM study materials are very thorough and interactive while NSCA study materials are basically textbook studying. The NSCA currently costs approximately between $350 and $650 whereas the cheapest package from NASM costs approximately $550 and can go all the way up to $1800. The NSCA requires 20 hours of continuing education every two years. The NASM certification also requires 20 hours every two years for recertification. I am guessing that you are just getting started in the personal training industry. I recommend you check out some of my other articles such as how to begin personal training. Also if you’re wondering how much you can earn in training check out that link. The NSCA has a strong focus on athletic performance. This includes reactive training, speed, agility and quickness training. They have a more advanced certification called the CSCS that focuses on athletic performance even more than their general certification does. Their basic certification leads to their more advanced certification. If you plan on working with a college or high school athletes, you should consider getting NSCA. Although the PES from NASM is also one of my top performance enhancement specialist certifications, I suggest you check out. Here is the official NSCA video on YouTube. I would categorize NASM as a “corrective exercise” certification. They have an in-depth screening process that lets their trainers know where they should start with their client. Most clients are individuals that are overweight and have many muscular imbalances throughout their bodies. NASM aims to correct these imbalances before moving on to more intense strength training routines. You could call these clients “average Joe’s” because they are the typical American client that needs to lose weight. NASM also provides excellent information on working with post-rehab individuals. They use what they call their optimum performance training or OPT, model. At the base of this OPT model is the stability stage. This incorporates multiple functional training movements and corrective exercises. NASM provides better program design in my opinion. They also have an advanced certification called the performance enhancement specialist certification. In my opinion, the certification is currently better than the CSCS. To me, NASM prepares you for a wider variety of clients with their OPT training model. The focus on corrective exercise is great because almost every single one of your clients will have some muscular imbalance that needs to be corrected before you move on to more difficult exercises/routines. NSCA has been around for a pretty long time. NSCA is one of the most highly recognized certifications in the industry. They are so well recognized in fact that their training textbooks are used as curriculum for some college universities. A lot of people get certified with the NSCA to get the more advanced CSCS certification. This is one of the most sought-after sports performance certifications in the industry. Unfortunately, I was unable to find how many people are certified with NSCA in total. The NSCA is accredited by the NCCA which is considered the highest standard I a lot of people in the industry. NASM is currently thought of as the gold standard certifications by a large number of gymnasiums, universities, and employers. If you go to bodybuilding.com or the personal training section of Reddit, you will see how much it is talked about. There are full communities simply dedicated to helping people study for and pass this test. NASM has certified more than 190,000 people, and it is probably the fastest growing certification. NASM is also accredited by the NCCA. If you like at Google trends for the last 12 months, you can see the differences between NSCA and NASM. This gives you a pretty good idea of how many people are searching for each certification in which one is currently hot. As you can see from the graph, NASM is ahead regarding Internet popularity. NSCA recommends certain textbooks in booklets to study from to prepare for their training certification. You do not have to purchase all the study materials. You can pick and choose whatever you need to be ready for when your test date comes. The most common study materials are there essentials of personal training textbook (696 pages long), exam content description booklet (helps you along with the textbook), complete practice questions bundle, and exercise technique manual for resistance training and live clinics. They also recommend purchasing the strength training anatomy and sport nutrition books. If you are a kinesthetic learner, I highly recommend taking the live clinic because the rest of the learning is purely out of the book. NASM has four separate packages that they offer. Each for these packages contains slightly different study materials. Currently, there are four separate packages that they offer. The most noticeable thing is that with their self-study and premium self-study you only get an electronic book instead of a hardcover. One thing that I found very useful was the flash card bundle that comes with the premium self-study package. 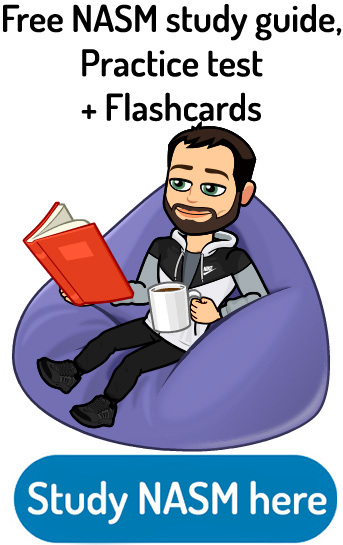 I love flashcards, and they are a fantastic study tool. With the guided study and all-inclusive packages, you have access to a coach/mentor. This is also super helpful because you can reach out to them with any question that you may have. I also like how both of these options come with the live workshop. Once again, for you kinesthetic learners out there this is extremely helpful. The biggest difference with the all-inclusive package is that you get the business accelerator program. This is a huge value especially for people that are trying to turn personal training into a personal business. I learned tons of cool techniques for sales, marketing and making more money in general as a trainer. It also comes with the CPT development program that includes 80 hours of on-site practice where you get to work with real clients. You cannot put a price on this experience. I highly recommend the all-inclusive package if you have the money for it. It will pay itself back in the knowledge that you gain. Check out my free and awesome NASM study guide here. The cost of the NSCA certification is tricky because it depends if you are a member of the NSCA or not. Two general study bundles are offered even though as I mentioned above; you can pick and choose which textbooks you want to get. If you want to get the most bare-bones study materials possible, it will cost $179 for members and $277 for nonmembers. If you want to get the majority of the study materials, it will cost approximately $287 for members and $486 for nonmembers. Then there is the price of the membership which you can get for as low as $47 a year for an associate membership, $65 a year for student membership, hundred and $20 per year for professional membership or $337 per year which includes liability insurance (mostly just for people that run their own business). The last price is the cost of the exam itself. If you have a membership, it will cost $279, and if you don’t have a membership, it will cost you $349 to take the test. When it comes down to it if you get a yearly membership and get the cheapest study package and purchased the test will come to $503. The cheapest option for a nonmember will be approximately $626. The pricing structure for NASM is much more simple, and it is based on the four packages that they offer. I also have a special offer to save $125 on all NASM certs and will include the adjusted prices for the special deal. The exam contains 150 multiple-choice questions, and you will be given three hours to complete it. Once you purchase the certification you have 12 months to sign up for the test, take it and pass it. Make sure you are fully prepared for the test before you take it because if you fail, you will have to pay a $300 retake it. If you are a non-member, it will cost you $435 to retake the test. The NSCA has one of the lowest overall pass rates in the industry at 58%. The tests ranging difficulty so to pass you need to score a 70 on a scaled rating. To take the test you need to hold a high school diploma or equivalent, be 18 years old and have a current CPR/AED card. Once you purchase the exam or package from NASM, you will need to register a date to take the test at a local lasergrade facility. These can be located in most major cities throughout the United States. From the time that you purchase your study package, you will receive one full year until you need to take the test. The test is 120 multiple-choice questions, and you will receive two hours to pass it. You will receive a passing or failing grade immediately after completing the test at the lasergrade facility. Just like NSCA, you need to score a 70 on a scaled score. 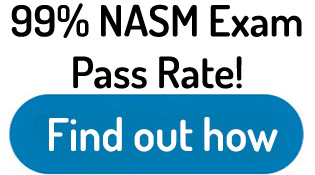 The NASM test is not quite as harsh as the NSCA test with approximately 64% of first-time test takers passing. If you do happen to fail on your first time, you will need to pay $199 to retake the test. That is unless you purchased either the guided study or all-inclusive packages which includes a free retake voucher. The only requirements for NASM are that you are 18 years old and hold a valid CPR/AED certification. Test your knowledge with my free NASM practice test here. NSCA requires 20 hours of continuing education every two years. The great thing is that it only cost $50 to recertify every two years. A lot of people end up getting recertified with the credits that they earned from getting there more advanced CSCS certification. NASM also requires 20 hours of continuing education credits every two years. They charge $99 to get recertified, but they also have the option to never pay a recertification fee every gym for one charge of $299. This is a good deal especially if you know you are going to be doing personal training for over six years. You can’t be the low price of $50 every two years with NSCA. Both NSCA and NASM are accredited by the NCCA. This makes both certifications very credible. Some employers will not accept certifications that aren’t NCCA accredited. Every gym owner that I have ever spoken with speaks highly of both of these certifications. You should not have any trouble getting a job with either one. I believe that being trained by NASM will he give you a more diverse range of skills and will allow you to train a broader range of individuals. And if you are going to be working at a local or commercial gym, you will most likely be working with the “average sedentary, overweight” client. The overall winner is NASM! I recommend that you Take the quiz to find out which certification is best for your training style if you are still having trouble choosing. Also if you are interested here is the youtube comparison I made a few years back. Most hold true to this day. I believe that NASM does a much better job of assessing muscular imbalances of these individuals and designing a progressive exercise routine that is safe and effective. It all comes down to what type of clients you would like to train once you are certified as a trainer. If you are mostly going to be working with high school or college athletes, you should consider getting certified through NSCA and then there more advanced certification the CSCS. Another excellent option for training athletes is getting certified through NASM and then going on to their PES (performance enhancement specialist) certification. In my opinion, this certification is just as sophisticated as the CSCS (if not more so). Overall, I would have to give the trophy to NASM for this comparison article. I hope you learned something from my NSCA vs NASM article! 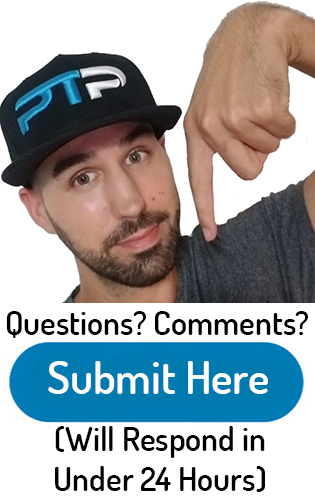 Drop me some knowledge in the comments section below! I have a son who will complete his B.S. in Exercise Science from an accredited program recognized by the NCSA. He will have done 2 internships with this degree, one at an athletic performance facility, and one at Athletico at a PT tech. He is also a cross country and track runner on a nationally-ranked team. He has outstanding grades, and very much excels in all areas of kinesiology/A&P. Everything considered, which route for certification would you suggest? (or perhaps there are several certifications which would serve him well). NSCA is a fantastic certification in a lot of colleges in the United States use their curriculum for teaching their classes. If you 30 gone down the NSCA route, You might want to check out there more advanced CSCS certification. Also I like to recommend NASM for people that are going to work with people with muscular imbalances or elderly people in general. What types of clients would you like to work with? I am looking to go into personal training but not your traditional route in the “gym.” I am looking at taking the crossfit philosophy, along with other movements in the functional fitness realm. I am not a strong believer in isolation movements although I believe they have there place. I went the gym route for many years and after doing crossfit/ functional movements i prefer this methods hands down. with that in mind would the nasm or nsca or other certifications be more beneficial. I was also looking at OPEX fitness. I will probably get my CFL1 crossfit level 1 down the road. If cross fit is your ultimate goal I would definitely focus on the cross fit programs that you’re planning on taking. Most of what you will get out of the general training certification will be the general anatomy, biomechanics and general principles of exercise science. You will not learn any of these cross fit movements or progressive cross fit patterns from any one of these certifications. That being said, I would think that injury prevention and corrective exercise would be an important thing for people doing cross fit. In this case I would recommend the NASM certification. Hi Tyler! Thanks for all the great info that you are sharing on the website, much appreciated! I am glad that you like the information I’m providing 🙂 In terms of your specialty certification is seems like you want to build explosive power, agility, quickness and overall strength in your athletes. For this you would need a specialty certification. I would recommend looking into the NASM PES or performance enhancement specialist certification. In order to get this you would need to have a general CPT certification already such as the general CPT or ACE certifications. I hope this helps answer your question! My recommendation if you are working in physical therapy is to go with NASM. I think the NASM CPT and NASM PES are a great combo for what you are trying to do. I would def go with NASM and maybe think about going after the PES performance enhancement cert after. This two compliment each other very well for what you are doing.